We have become accustomed to hearing about Apple buying small to mid-sized companies that fit into their business plans. Just this year alone Apple has acquired Lala Streaming Music Service, Quatro Wireless Mobile Advertising, Intrinsity Semiconductors, Siri Mobile Assistant and Poly 9 Web-based Mapping, all of which have been major purchases to enhance the Apple business model. These acquisitions have run upwards of $275 million(Quatro Wireless), but the next rumored purchase could send shockwaves throughout the arts and entertainment industry. Reuters reports that Sony Corp’s stock rose almost 3 percent Tuesday, based on speculation that Apple will acquire the media conglomerate. 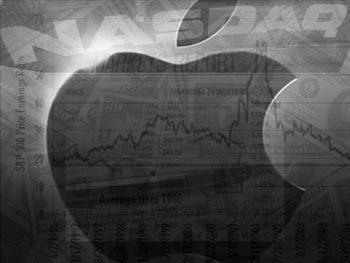 These rumors have been fueled by the fact that during Apple’s latest financial results call, it was revealed that Apple has a pile of cash waiting for a home; $51 billion to be exact, yes that’s billion with a “B”. We strongly believe that one or more very strategic opportunities may come along, that we can take, that we’re in a unique position to take advantage of because of our strong cash position. With this comment the rumors started flying about the next shopping spree by Jobs: EA, Netflix, Disney, Facebook, and Adobe were all on the lips of analysts. The Sony rumor seems to have the most legs and makes a bit more sense considering Sony’s market value stands at $34 billion. 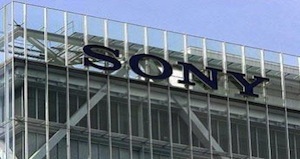 The problems with acquiring the totality of Sony are many, not least being the push-back from the Japanese government as a foreign entity attempts to purchase a national icon. What makes more sense if for Apple to acquire the TV, film and music library as that fits best into the Apple model, and frankly, is what Apple would probably want based on the iTunes content sales model. Sony may not be willing to sell it’s assets piecemeal, so this whole idea of a simple merger could get very messy. These larger merger/acquisitions don’t typically turn out for the best, and Apple has proven the purchasing the smaller niche companies has worked out quite well in the past. These smaller deals take less time, money and effort to seamlessly integrate into the Apple business culture. I just don’t see this speculated huge merger going down anytime sonn, and by soon I mean in the next decade. It’s just not Apple’s modus operandi and failure is much more likely than success. If I were a betting man I would put my money on a Netflix buyout much sooner than Sony. If you were Steve Jobs what company would you target as the next acquisition and why?